In the aftermath of the shootout Abby delivers a premature baby while Sam suffers a terrifying ordeal at the hands of her ex-husband. Meanwhile, the shows longest serving character Kerry Weaver departs when Kovac is forced to make budget cuts which threaten her job. 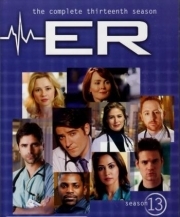 Paramedic Tony Gates returns only this time as the ER’s new intern, Kovac is sued for malpractice and is later forced to return to Croatia to care for his father, Abby struggles to adapt to motherhood and Ray is involved in a life changing accident which turns Neela’s world upside down. 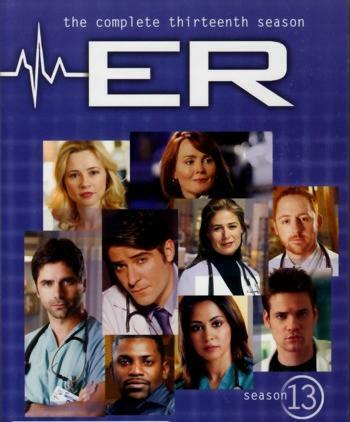 Whole or part of the information contained in this card come from the Wikipedia article "ER (season 13)", licensed under CC-BY-SA full list of contributors here.